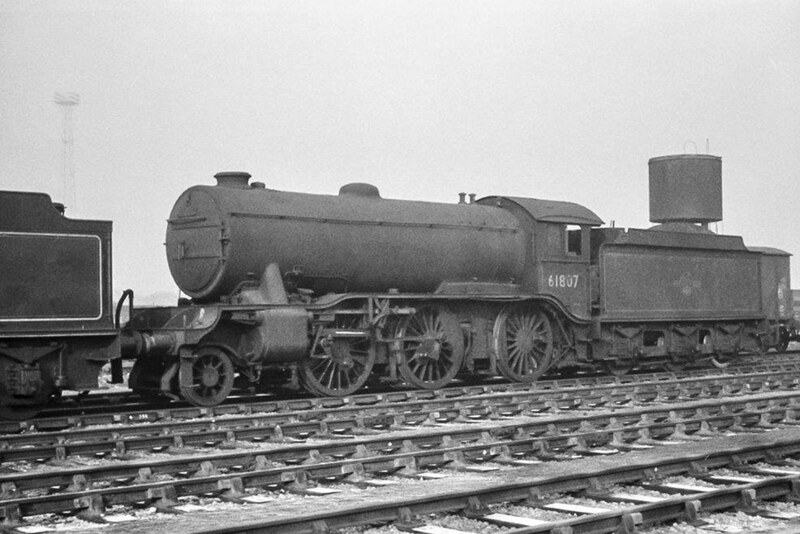 LNER B1 Class 4‑6‑0 No. 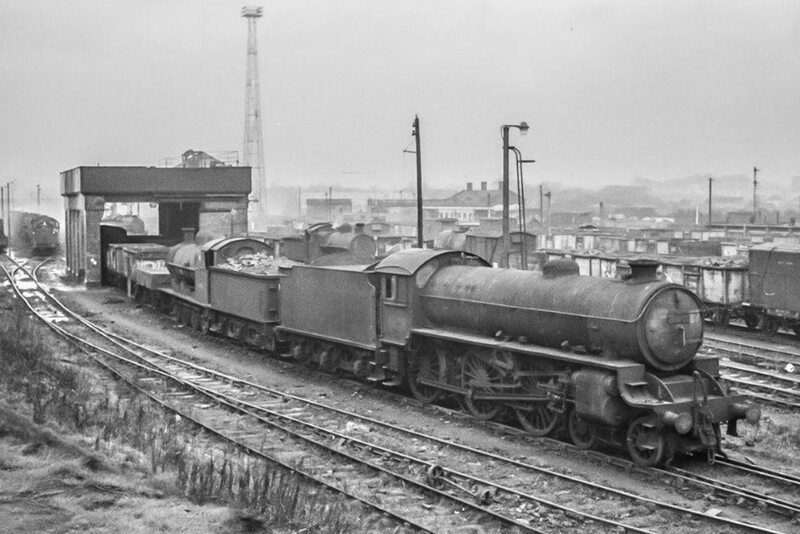 61408, soon to be reduced to a pile of scrap, looks in reasonable external condition at Bescot on 3rd March 1963. For many years an inmate of 40B Immingham, No. 61408 had been taken out of revenue earning service from 40B in December 1962. A small number of LNER K3 2‑6‑0’s ended up at Great Bridge via Bescot one such example being No. 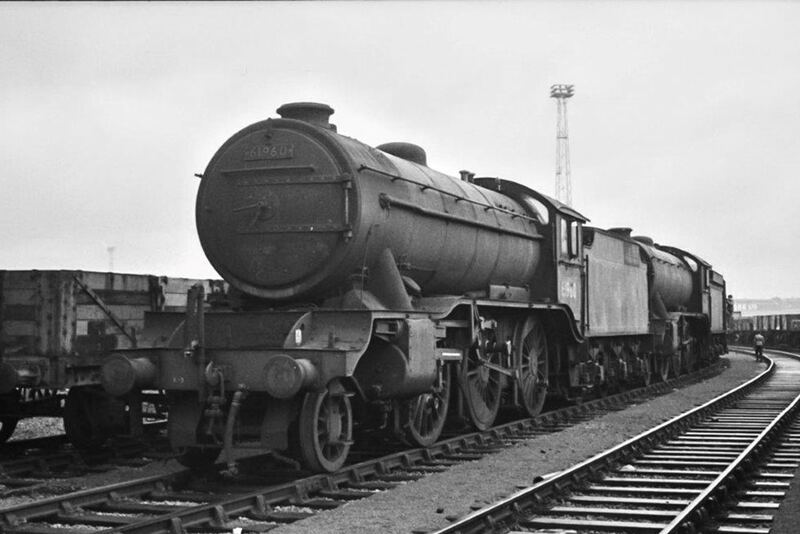 61807, withdrawn from 40B Immingham in November 1962 which is seen here in the yard at 21B on 3rd March 1963. 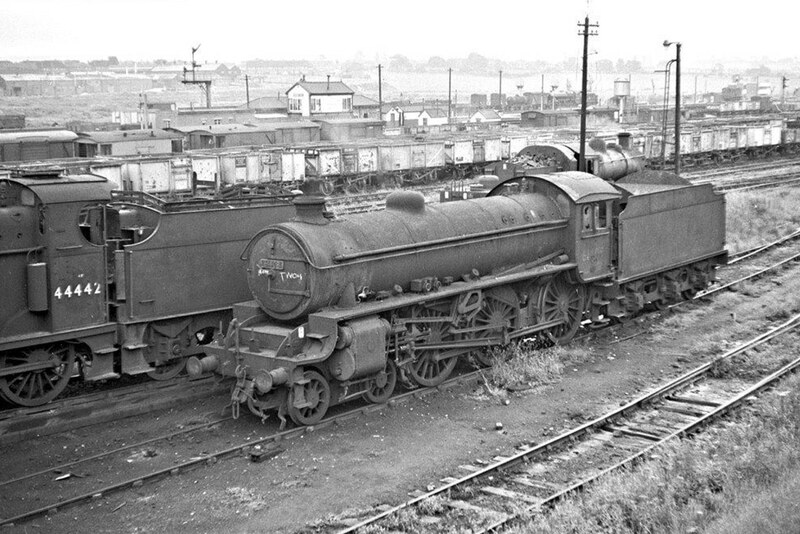 Surplus to requirements at 40B Immingham, again in November 1962, No. 61939 awaits the fateful day that the oxy‑acetylene torch will reduce it to next to nothing in the yard at Bescot on 3rd March 1963. The K3’s were one of many classes of locomotives rendered extinct during the mass cull of steam locos in 1962. Yet another K3 in transit from 40B Immingham to Great Bridge, No. 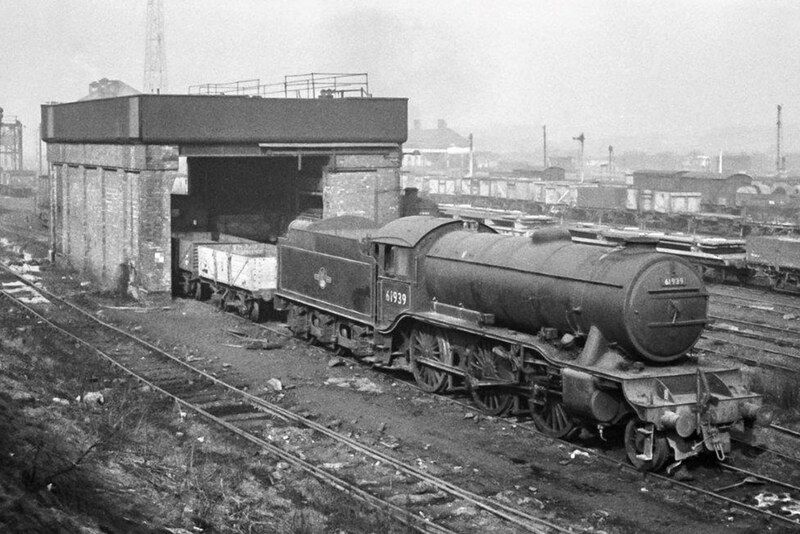 61960, rests awhile at Bescot on 10th March 1963. Four K3’s Nos. 61880, 61886, 61890 and 61954, which ended their days at Great Bridge were wrongly reported in the railway press as having gone to Central Wagon, Ince, Wigan.